What comes to mind when you think of the high seas? Pirates, whales, giant squid and great white sharks? Long the subject of stories and myths, life in the oceans beyond territorial waters is far from picture perfect. Under threat from climate change, acidification, overfishing, pollution and deep-sea mining, the area is now a focus for international scientists, who want to limit exploitation with ocean sanctuaries. “Extraordinary losses of seabirds, turtles, sharks and marine mammals reveal a broken governance system,” said Professor Callum Roberts, a marine conservation biologist at the University of York. 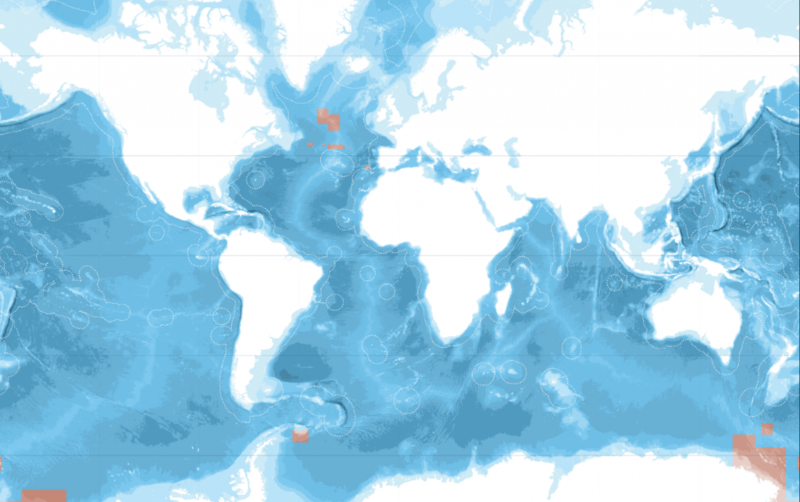 The researchers broke down the global oceans – which cover almost half the planet – and mapped the distribution of 458 different conservation features, including wildlife and habitats. They considered hundreds of scenarios for what a planet-wide network of ocean sanctuaries could look like, before putting together a plan for at least 30% to become ocean sanctuaries. The resulting report, titled 30×30: A Blueprint For Ocean Protection, is a collaboration between the University of York, the University of Oxford and Greenpeace. It comes as the United Nations prepares to vote on an international legally binding instrument for the conservation and sustainable use of marine biological diversity of areas beyond national jurisdiction. It matters, not only for the protection and preservation of our ecosystems, but also because marine life captures carbon at the surface of the high seas and stores it deep below, a mechanism that if lost would result in our atmosphere containing 50% more carbon dioxide. At this year’s World Economic Forum Annual Meeting in Davos, the Friends of Ocean Action brought together entrepreneurs, innovators and scientists to discuss high-impact, large-scale solutions that could make the seas healthier. Work like this, and the 30% plan, could help safeguard the future. “What’s so exciting about this research is that it shows that it is entirely possible to design and create a robust, planet-wide network of ocean sanctuaries,” said Dr Sandra Schoettner from Greenpeace’s Protect the Oceans campaign.